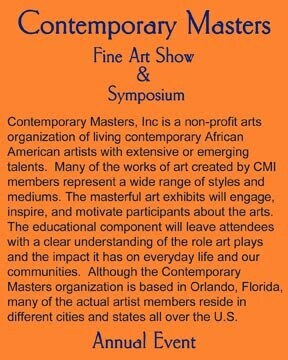 Orlando, FL -- Arthur L. Dawson is a self-taught artist who grew up just south of Tallahassee in Wakulla, Florida. He developed an interest in art at the age of seven, when he created a comic book with himself as the superhero vanquishing evildoers. As an adult, he became well known in law enforcement for his highly praised reconstructive and aging techniques for identifying missing persons and deceased individuals of unknown identity. Later, because of the influence of Lois Mailou Jones, Arthur decided to move away from forensic art and devote his talents full-time to the fine art he always longed to do. 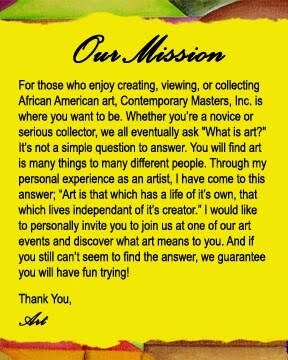 In 1991, Arthur founded Ethnic Visions, an art publishing distribution company, to sell and promote his artworks. 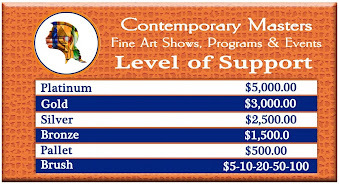 His latest projects include the Youth Art Program created in 2006 and Contemporary Masters, Inc., created in 2012. 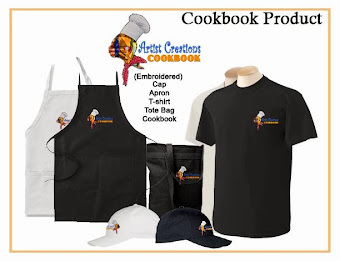 The Artist Creations Cookbook Collector’s Edition vol. I is an 86-page hardcover, perfect bound, art and cookbook with full color pages throughout and dust jacket. 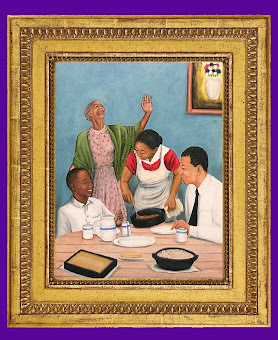 It features beautiful art and tasty recipes of 27 nationally renowned contemporary artists from the U.S., Ghana, Nigeria, Senegal, Haiti, and Jamaica! Retail price is $60.00. Arthur’s Artist Creations Cookbook is truly a unique art project. There are art picture books, books about artists, and there are cookbooks, but there has never been a book containing all three. In addition to all the beautiful food related art and yummy recipes, you will also find an artist Remarque page. For an additional fee, you can get a removable (8 x 10) original work of art. 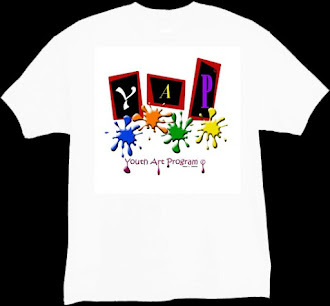 Projects like the Artist Creations Cookbook and its benefactor, Youth Art Program (YAP) are shining examples of humble efforts to engage, educate, inspire, and motivate African American youth and adults about the visual arts. The Artist Creations Cookbook presents an epic opportunity to showcase cultural cuisine and the artwork of national and internationally renowned artist to art and food lovers across the country and around the world. 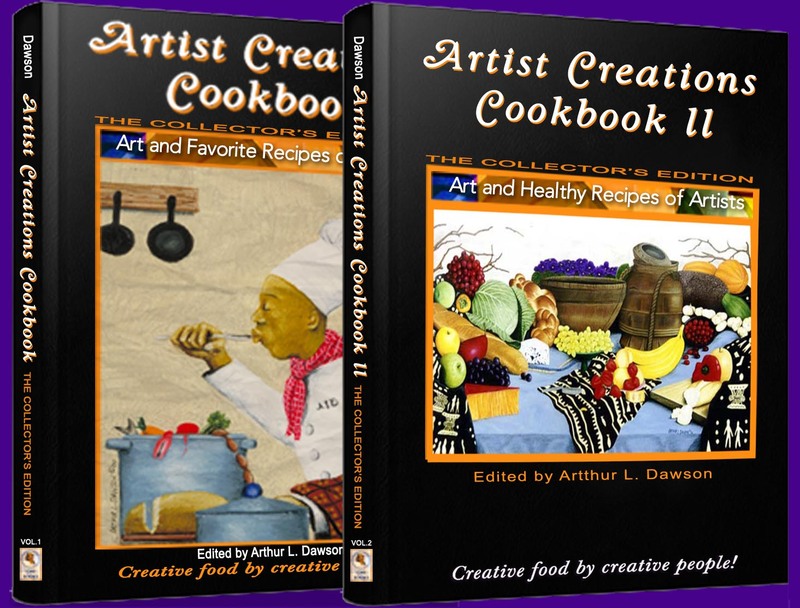 What is the “Artist Creations Cookbook”? It’s a keepsake……….Add your own favorite Family recipes to the blank pages provided and pass it down for generations to come. 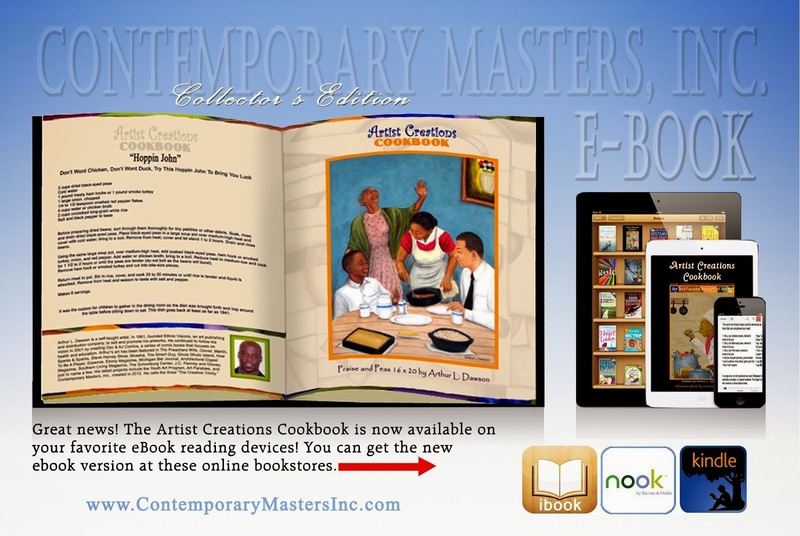 Volume I of the Artist Creations Cookbook Collector’s Edition (art and the favorite recipes of artist) was released 2014. 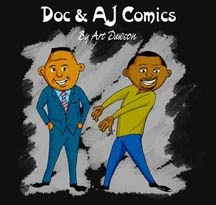 Volume II, the (art and healthy recipes of artist) with special guest celebrity chef Marvin Woods from (Michelle Obama’s “Let’s Move” is set for release March 2016.